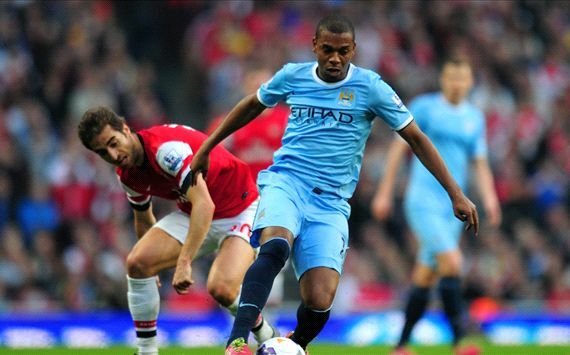 Arsenal came from behind to draw Manchester City in Sunday's English Premier League tie at the Emirates. Flamini helped the Gunners restore some pride, after some recent dismal performances from the North London club. Mancheester City had gone ahead earlier in the first half when David Silva struck home few yards away from goal. City were on a first half cruise control as the Gunners were struggling to get out of their own half. The Second half started with some fighting spirit from the Gunners, as they forced City back with better exchange of passes and were rewarded with a Mathieu Flamini goal in the 53rd minute. The home team went on with more pressure on City, but the Capital One winners had some resilient defending. Arsenal may have survived City's scare, but the title hope is all but lost, as they have to worry about staying in the top four with Everton who have two outstanding games breathing down their neck.